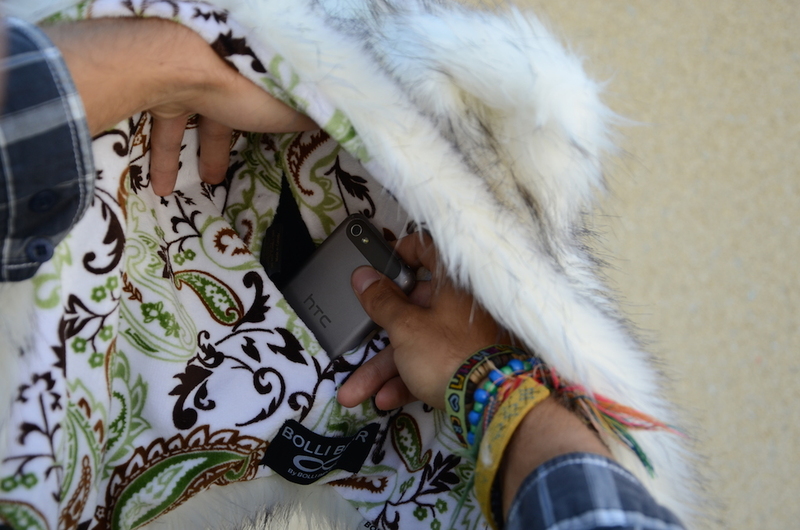 All our hoods have a secret, hidden pocket inside the liner. It's the only pocket you need on the dance floor. Wear you hood and you're good to go. 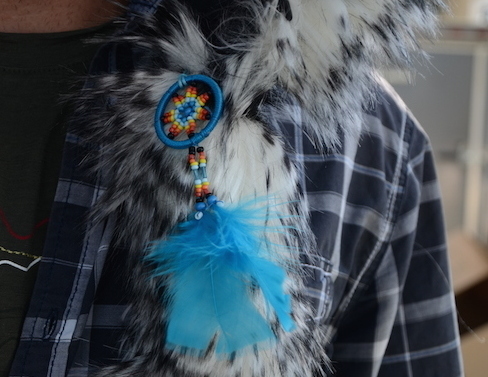 We attach a dream catcher to all of our faux fur hoods. These dream catchers are typically made by Natives of Ecuador, South Amercia. They may not last as long as the hood but you can ask us for a new one! May all your dreams come true!. 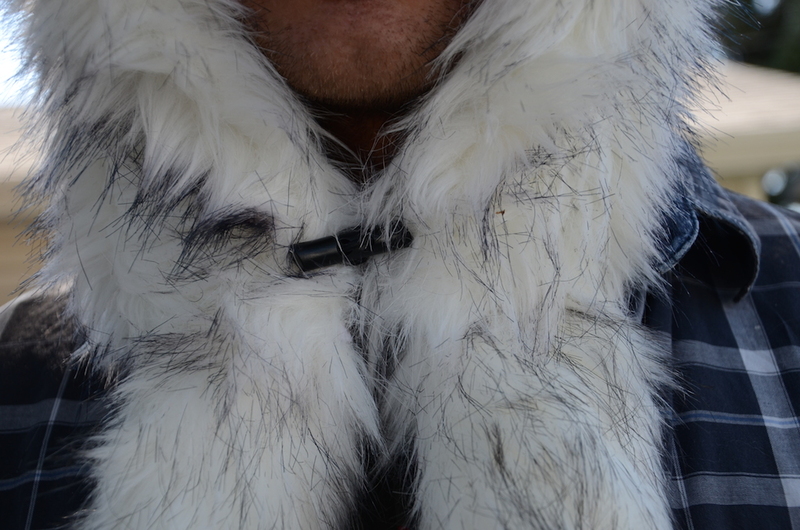 The Neck Clasp helps you to keep your hood on during windy days or as you are ripping it up on the Snowboard! 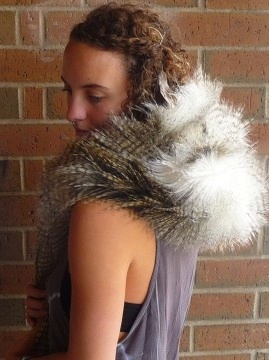 You can even wear your hood on your shoulders with the neck clasp closed. Keep your neck warm during cold winter days. We put elastic finger loops at the end of each tassel. Hook them around your middle finger and the fuzzy tassels will dance with you all night long. Use the loops to cross the tassels on your back and hook them into the toggles on the underside of your hood. Boom, you now have a fun vest and will never lose your hood no matter how hard you are flailing on the dance floor! Your hood has two more toggles on the back. 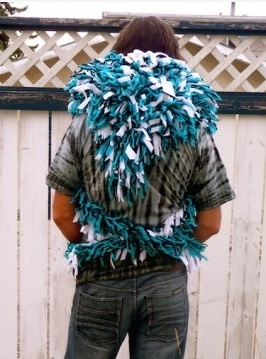 Criss cross the tassels on your back, hood the finger loops on the toggles and you have created a fun little vest. That will keep you warm and you will never lose your hood again. 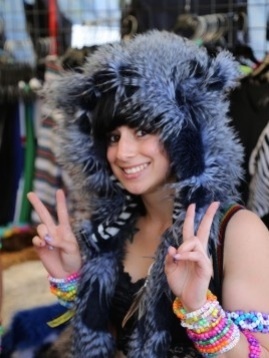 All Bolli Bear Hoods are made with a philosophy of love from start to finish. We travel around the world to find not just the highest quality fabrics, but also to ensure that the people who make the fabrics are treated fairly. Each step along the journey of making your Bolli Bear Hood has been vetted so that the highest ethical and production standards are in place. So when we say that our Hoods are made with Love, we mean it! The Standard way of wearing the hood, as you'd expect - on your head. Let your Hood ride on your shoulders with the tassels hanging down the front. You can wrap the tassels around your neck and wear them like a fabulous scarf. This is the warmest way to wear your hood. 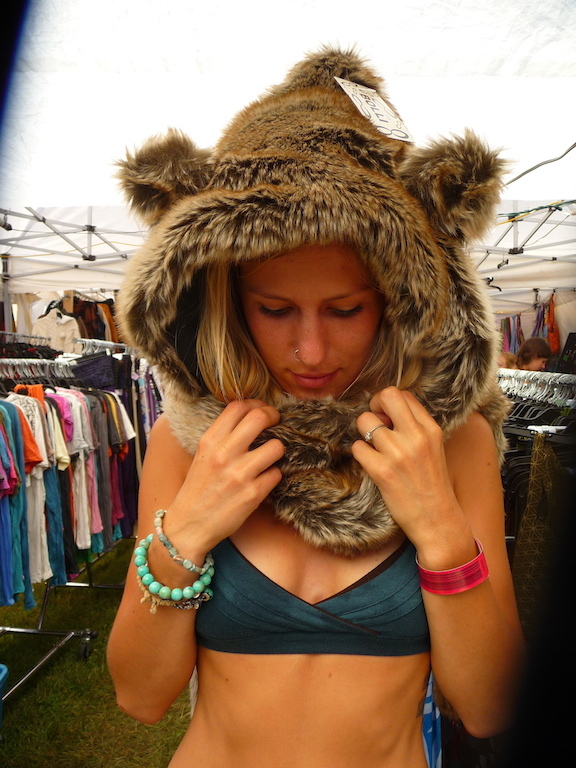 Wrap the tassels of your Shambhala Hood around your back to create a neat look with a little added warmth. Handmade with lovely people in Calgary, Canada.